David has over 23 years’ professional experience and 15 years of international experience at the Director/Chairman Board level. David is presently the Managing Director of the investment and consulting group, Pierce Group Asia where he is responsible for its technology focused corporate development and investment activities. Prior to this role, David was an investment manager for the London listed Guinness Peat Group PLC and Director of M&A for its technology focused division. David has been involved in various advisory, executive-level and board positions with several technology companies at various stages of development. David has previously served as both Director and Chairman of FFT prior to its IPO. David is based in Singapore. Scott’s expertise encompasses leadership and general management of multiple ANZ business units, strategic sales and business development, international marketing and communications throughout APAC, as well as commercial, operational and program management. Scott is an internationally experienced corporate executive with a wealth of knowledge and experience of the security industry, gained from almost twenty years of involvement working on major security projects and system integrations across Australasia and the Asia Pacific regions. During his career, Scott has worked for several major global security industry companies, including Smiths Detection, Unisys, Morpho Detection, Rapiscan Systems and Idemia. He has also previously consulted to the Australian Department of Defence and is a former commissioned officer in the Australian Regular Army. Scott is based in Sydney. Rob is an experienced business executive with more than 20 years of management experience including the past 18 years in senior positions within companies operating in the security industry. Prior to joining Ava Group, he was with Vision Systems Limited, where he served as the General Manager of Asia Pacific for their Fire and Security systems. In addition to his international sales and marketing success, Rob has extensive experience in operations management, including product engineering, procurement, manufacturing and operations. 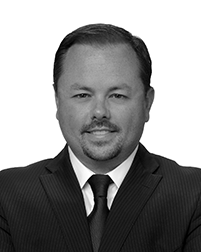 He has previously had 10 years experience with IBM in Australia and the United States. 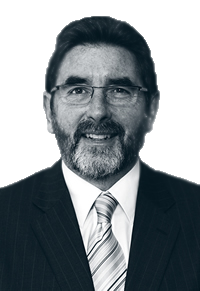 Rob is currently chairman of Maxsec Ltd and holds no other positions on boards of other Australian listed companies. Rob is based in Melbourne. Mike has over 35 years experience in the military, facilities and security sectors. Prior to his retirement in 2015 he was the Managing Director and founder of Transguard Group LLC, a UAE based Security and Facilities Management company and one of the largest security companies in the world, employing 55,000 staff. Prior to this he held senior positions in a range of security and facilities management focused companies. Mike holds a Master of Business Administration from the University of Portsmouth, UK and is a shareholder in the Company. Mike is based in the UK. With more than 25 years of experience in senior management roles with multi-national corporations, Mark is a seasoned executive with broad experience in sales and general management in the Telecom and IT sector. Mark has a successful track record of developing and growing profitable businesses in Asia, Americas and Australia/New Zealand. Mark has held senior positions with Nortel Networks Inc., Aircom International Limited, ECI Telecom Ltd and is currently VP Asia at Transmode AB. Mark is based in Melbourne. Rob is an experienced business executive with more than 20 years of management experience including the past 18 years in senior positions within companies operating in the security industry. Prior to joining Ava Group, he was with Vision Systems Limited, where he served as the General Manager of Asia Pacific for their Fire and Security systems. In addition to his international sales and marketing success, Rob has extensive experience in operations management, including product engineering, procurement, manufacturing and operations. He has previously had 10 years’ experience with IBM in Australia and the United States. 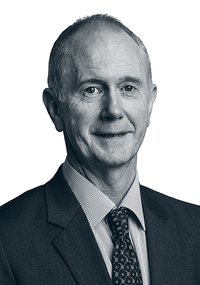 Rob is currently chairman of Maxsec Ltd and holds no other positions on boards of other Australian listed companies. Rob is based in Melbourne. Leigh is a CPA with more than 20 years finance and accounting experience across a range of industries including energy, technology and telecommunications. 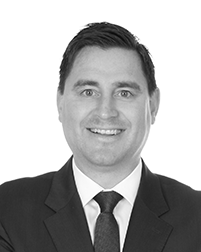 Leigh has served as Chief Financial Officer and Company Secretary of both ASX listed and unlisted companies, and has previously held Commercial Finance and Corporate Reporting roles in Australia, the United Kingdom and Europe for NYSE, NASDAQ and FTSE listed companies. Leigh holds a Bachelor of Business (Accounting) degree and a MBA from London Business School. He is also a graduate of the Australian Institute of Company Directors. Leigh is based in Melbourne. 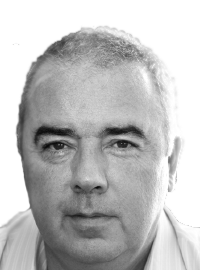 Chris has extensive experience within the security integration and services sectors. Prior to his current role, Chris was SVP Strategy and Business Development for MaxSec Group Limited (MSP). He also serves as an Executive Director on the board of MSP. Chris was previously employed for 20 years with G4S, a world leading security services provider. Joining G4S in 1994, Chris worked across a number of continents, most recently as Regional Managing Director, Middle East, managing a portfolio of Security & FM joint ventures, with a total revenue in excess of US$1 billion. Chris is based in Dubai. 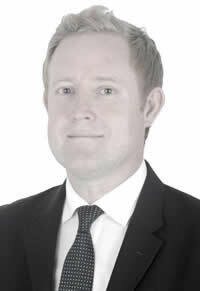 James is a Chartered Accountant with PwC in 1992. Since then he’s worked for PwC on two secondments over a 5-year period to NatWest Acquisition Finance and PwC South Africa. With 26 years’ work experience in both the professional services sector and industry, James spent 11 years at a leading security services provider in roles that included group finance, cash services and justice services. 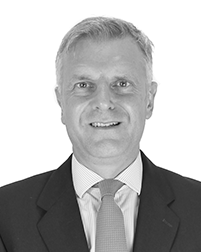 James has worked as a Regional Finance Director in the Middle East. In this role he had direct responsibility for businesses in the UK and in the Middle East, together with regional oversight of businesses. Most recently, James was the FD of the African Region of a leading hotel and hospitality group, with 35 business units across Africa. James is based in Dubai. Stefan has 10 years’ experience of working at a leading security services provider. He started his career in the sector as a Sales Executive and went on to become the Regional Head of Commodities Europe. 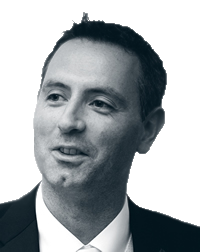 More recently Stefan worked as the Regional Director for Europe and the Middle East, where he was responsible for delivering strategy and managing key accounts across the region. Stefan has built a new network of strategic partnerships in India and managed several global strategic accounts. Stefan is based in Frankfurt. 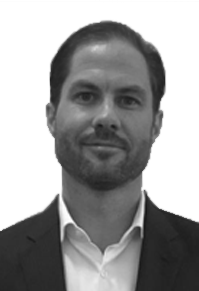 Dan has over 17 years’ broad experience throughout the security industry and has considerable knowledge of the constantly changing landscape within global high-value logistics, security technology and risk consulting within a multitude of sectors. With a proven track record of conducting complex risk audits, loss investigations, managing international security teams as well as partner operations, Dan brings to the Group his valuable market insights and analytical skills, enabling our customers to reduce their overall exposure to risk. Dan is based in New York. Gwen has almost 20 years’ experience at a leading security services provider. 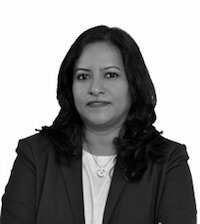 She has held a number of roles in the UAE, including HR Administration Manager and Employee Engagement Manager, moving on to work for the Asia Middle East Region as HR Services Manager and HR Information Systems Manager. Gwen has managed projects relating to annual HR initiatives, including performance management, talent reviews and succession planning and has supported HR leads in sharing best practices across the region. Gwen is based in Dubai.